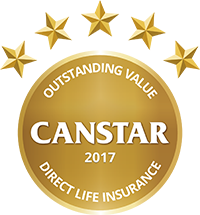 Canstar Direct Life Insurance Star Ratings use a sophisticated and unique ratings methodology that compares both cost and features across direct life insurance products. Canstar star ratings represent a shortlist of products, enabling consumers to narrow their search to products that have been assessed and ranked. Who offers outstanding value direct life insurance? How much does direct life insurance cost? Compare your insurance premiums against the 2017 market average for direct life. What’s happening in the life insurance market in 2017? Canstar examines the latest life insurance trends, and what you need to know when choosing a direct life policy. Canstar’s Star Ratings are unique. We evaluate literally thousands of products from hundreds of financial institutions. Our expert researchers analyse every product by comparing price and features to determine what represents value.